For all UK readers, I’m selling a huge selection of anime, collectible and video game items on ebay! If you’re not from the UK but still interested in something, comment here and we can probably arrange something. There are a particularly large amount of Sailor Moon items! I’ve updated the long neglected Release Schedule page with some new information, more updates to follow! 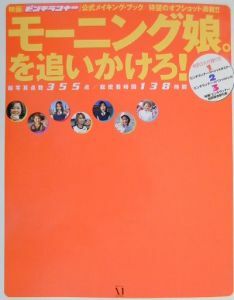 Morning Musume’s 42nd single, Onna ga Medatte Naze Ikenai, has ranked at #5 in the Oricon Weekly Charts with sales of 36,169. These sales aren’t too awful, they could be better though it’s roughly the same as Kimagure Princess’s first week. In non-Hello! Project news, I was quite surprised to see that BoA’s latest album, IDENTITY, only charted at #4 in it’s first week sales of 37,606. She’s ranked beneath Koda Kumi’s new album which is in it’s 2nd week, is BoA’s popularity really waning that much? Btw, I saw that there’s a free giveaway of Onna ga Medatte Naze Ikenai CD single over at tokyofied.com !! As I’ve lived in Japan for approaching seven months now I’ve accumulated some Hello! Project goods I don’t actually need so I’m going to offer them here first to anyone interested! I’ll put the price in British Pounds and Dollars, postage is included! Any other currency is fine too, payment can be done through Paypal. First comment reserves their right to purchase desired item. Item will be shipped on day of payment if viable (not after 3pm JST). Also, if anyone is looking for older or rarer goods I can have a look around some stores in Tokyo if you are really committed to purchasing something, such as photobooks, books, CDs and other merchandise. Aah!! 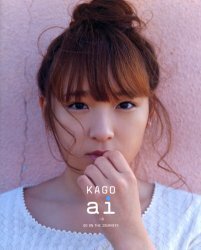 Can I reserve the Kago Ai PB? I love it so much. *o*; I can give you payment through PayPal. Hello! I’m not sure if this is offensive, but I’m running a FREE Hello!Project item giveaway this month, and I thought this thread might be the right place to post in. If it isn’t, please delete/move it. Little bit of advertising here! Posts have been in English so far but I can do in Japanese (or Gaelic :P) if it takes anyone’s fancy…! Ahh, I put /// instead of //! ^ 意味を分かんない〜 What do you mean? Hey guys, just a quick little intro post so everyone knows who I am since I’ll be helping out around here. I’m Sheila, 21 and live in an island called Puerto Rico. Born and raised there and currently attending college here too. I got into Hello! Project thanks to playing Osu! Tatakae! Ouendan! way back in the day…two years ago really. 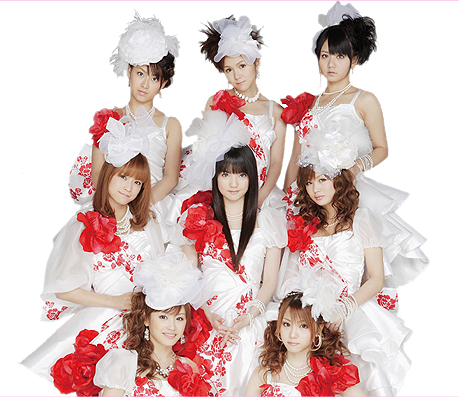 ^_^ Morning Musume’s ‘恋のダンズサイと’ was a song in the game and I got hooked from there…that song is still one of my favorites to play in game. All right people, a catch up post shall be up soon with info on some new releases that are coming up next year…one of them being something I’m sure that a lot of people will be interested in.